HAL 9000 is a fictional character in Arthur C. Clarke's Space Odyssey series. First appearing in 2001: A Space Odyssey, HAL (Heuristically programmed ALgorithmic computer) is a sentient computer (or artificial general intelligence) that controls the systems of the Discovery One spacecraft and interacts with the ship's astronaut crew. 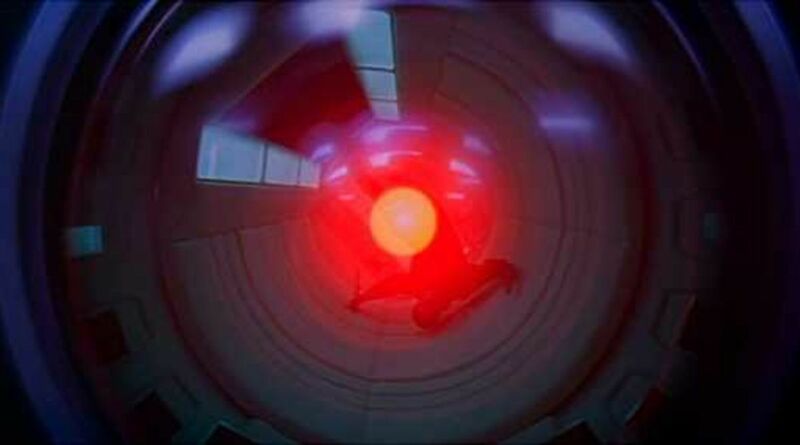 Part of HAL's hardware is shown towards the end of the film, but he is mostly depicted as a camera lens containing a red dot, copies of which are located throughout the ship. HAL 9000 is voiced by Douglas Rain in the two film adaptations of the Space Odyssey series and a short film voiced by Andrew Stanton. HAL speaks in a soft, calm voice and a conversational manner, in contrast to the crewmen, David Bowman and Frank Poole. In the context of the series, HAL became operational on 12 January 1997 at the HAL Laboratories in Urbana, Illinois as production number 3; in the film 2001, the activation year was 1992 and 1991 in earlier screenplays. In addition to maintaining the Discovery One spacecraft systems during the interplanetary mission to Jupiter (or Saturn in the original novel, published shortly after the release of the film), HAL is capable of speech, speech recognition, facial recognition, natural language processing, lip reading, art appreciation, interpreting emotional behaviours, automated reasoning, and playing chess.